For 10th and 11th grade students (we are allowing 9th grade students on a space available basis). The test is used as a qualifying test for the National Merit Scholarship, for 11th grade students. We still have room for at least 10 more students. Contact the school office to sign up your student. If you call and leave a message, make sure you give us your student’s name and grade level. Please enter the front building through the Gym doors. It is an exciting time at Crossroads. Our online sign up system was a huge success! We have had a lot of great feedback. We are still working to make our communication with the group as natural and intuitive as possible! Thank you for your patience as we rebrand this website! Most of the information you need will be here. 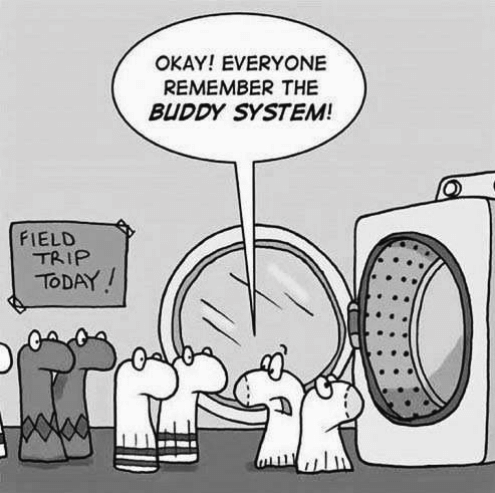 In the past all of the field trip information was listed in the newsletter in great detail. Now we will have basic information on new activities with the link in the newsletter to take you to the online system, Cheddar Up. At Cheddar Up you will find all the activities and their details. It is important that you read all the details. Do not just add the item to your cart. There will always be specific details that you will need to know. All of the field trips are listed on the Calendar on (in the above links) so you can easily see when things are happening in case you forget. We are looking forward to a great year. Glad you are a part of it! Each class is $5.00 and begins September 7th. Fall Class Dates: September 7, 14, 21, 28. October 5, 12, 19 (Theme dance 26) November 2, 9, 16, 30 December 7. We need your help. You can do this by staying on top of your photos and submit them quickly so the staff can “do their thing!” As your child participates in field trips, home activities, individual sports or arts take photos! Pick the best of the best and upload them to our eshare site. Here is a link but remember you can ALWAYS find this link on our website. 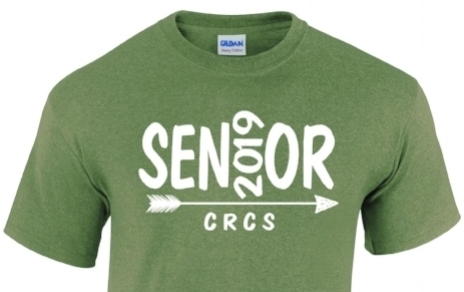 You can now purchase your Senior T-Shirt. Do this quickly because we will be making the order by September 14th. Here is the link to Cheddar Up. Auditions are coming up soon for the Jr. High play, “The Somewhat True Tales of Robin Hood.” The play will be March 14 & 15 (Thurs & Friday), with Tech week practices that week on March 11-13. Auditions will be held on Tuesday, October 23rd and Wednesday, October 24th, from 2:00 - 3:45 at CRCS. Students will be allowed to share a short piece of pre-memorized speech or poem of their choice, as well as being asked to read from the script and do some pantomiming. Additional information will be sent out through email, so to get on the list, please send your email information to Karen Cunningham: thunderridge@windstream.net. This won’t obligate you to participate, but will insure that you get all needed information, including possible short sections of script to memorize as well as the audition application form. We plan to have an initial read-through on November 2 and hope to have two practices before Christmas break, but the majority of the practices will be after the New Year on Fridays after ballroom (2:30-4:30). Please check your calendars for conflicts before deciding if you can participate as we have a limited number of practices and need everyone there as scheduled. The Jr. High play is for those in 7th and 8th grade, and 9th graders may choose to audition for either this one or the Sr. High play. Key Club is going to have a very busy year! We started with a party and are ready to jump right in with service projects beginning in September. If you want to join Key Club it is never too late to do so. Just come to our first meeting on September 14 at 12:30 upstairs in the gym building. Our first meeting will be very informational so come with your questions. Parents are always welcome to attend. The cross country season for CC Flyers is off to a great start! We have 88 runners training this season. Our younger runners (4K-6th grade) are eligible to compete in the Birmingham Regional Independent Athletic Association meets September 8, 15, 22 & 29. WHEN:Friday, September 14th, 12:30-1:30 p.m.
SEPTEMBER MEETING DETAILS: This meeting will introduce everyone to each other and to Builders Club. We will focus on the theme of character building with some ice-breaking activities. We will also address administrative details (dues, the pledge, officer positions and elections, individual service hour information, service project ideas, contests, and t-shirts). Feel free to contact the CRCS Builders Club Advisor, Wendy Cornett (205-467-0642) with any questions. Eta Sigma Alpha is the first honor society established exclusively for homeschooled students in Grades 9-12. Mandatory minimum requirements for membership are established by the national organization, and these minimum requirements cannot be modified by the local chapter. For a list of minimum membership requirements, please refer to etasigmaalpha.com. Do you have a homeschooled student in 11-12th grades, thinking about college? If this is your first student headed that way, then you may have questions and concerns. This workshop is part of Crossroads’ efforts to provide guidance counseling! Not that we are the experts, but we’ve got a few years of experience: with our own children, with graduates of Crossroads, and time spent with admissions officers for local colleges. We’ll discuss the admissions process, financial aid, preparation and skills, among other things. Bring your questions to ask! The timing of this workshop is right before the two college fairs: the National College Fair, and the National Christian College Fair. Come out and support the girls’ volleyball! Home games will be played at Crosspoint Baptist Church $3 Students/ $5 Adults $20 Family Max. Boys and girls basketball, girls volleyball, boys baseball, girls softball. See their Facebook page! No BEST Robotics Team this year! No robotics club meeting this year! Our sponsor moved out of state, and we’ve not had anyone else volunteer for this task!